the perfect gift for teppei! teppei's birthday is coming so soon..
ahm..if you are given a chance to give something to him..
i'll wait for your answers..
cuz i love them both! i'TS OK if he dOnt miNd it..
bUt i guess he wOnt dO tHat..
.."dO your best!..you can dO it!".. *he says it in english in one of his cLip..i watch it in YT..
he's sO cute speaking english* kyah!.. "hi my name is teppei koike,do your best you can do it!" i knOw no one is asking..
haha yea i will give him support and love too! but im afraid if i give teppei too much love, wentz might get jealous. i should just give teppei wentz, im sure he will be happy enough! hmm you're going to send him presentS? i dont even know what to get him, and im afraid he wouldnt like the present i sent (if i got him one). and since i didnt give wentz any presents on his birthday two months ago, i think i shouldnt give teppei too. HAHA just to be fair! as i said, wentz may get jealous! haha i have no idea what his working address is too. anw i bet many other fans are also going to flood him with presents. p.s. i really think we should make it COMPULSORY for new members to post. am i right?..the one that you juST thinK..
minna..minna..i've got sOmething tO say.. 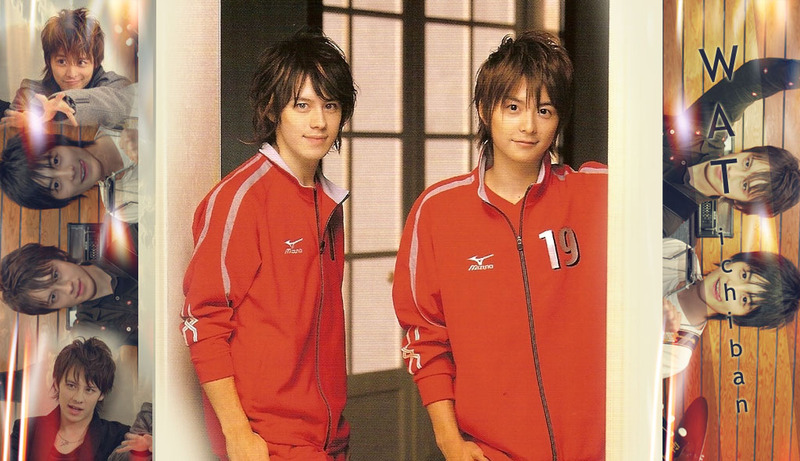 aHem!..i've pOsted a cOmment on te-chan's bLog in watfc..the official site! (screaming loud and cLear) HEHEHE..
though im not sure if he read's it or nOt..
u posted in the BBS! ive always wanted to post up there, but didnt know what to write. maybe i'll try it tonight, or tomorrow night, or some other day. yea the whole website is in Japanese. but er, there's english tabs on the top. maybe you can use that! but so many of their stuff are limited for members only. gomen for the late reply minna..
on hOw to post a comment in BBS..kyah!.. the instructions are all so simple..
credits to WaT international forum..
yeah..you can also leave a english comment..
just follow the instuction given..
you can use yahoo bable fish..
leave also a comment on te-chan...^^like me..and others tOO..
that's what i felt also biha..
at my first time..uwah!..i leave recently a comment again..
Subject: Re: the perfect gift for teppei!